Maria del Mar Rivero, 19, attempted to smuggle her boyfriend Juan Ramirez Tijerina out of prison where he is serving 20 years for illegal possession of weapons. She tried to leave the building with the suitcase after a conjugal visit. 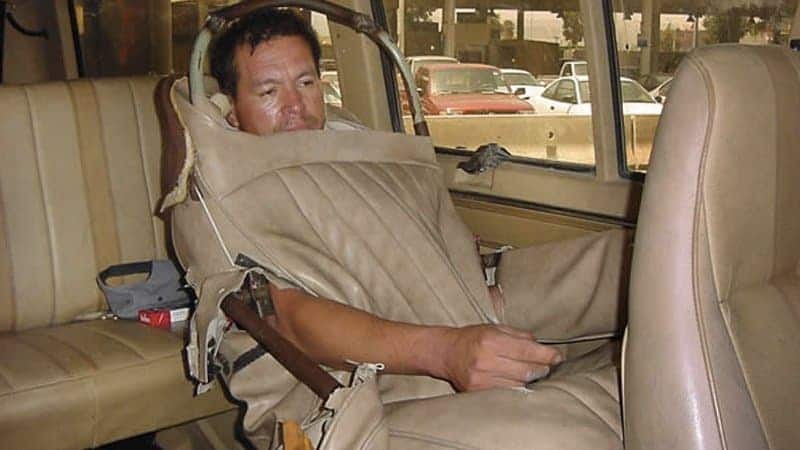 Rivero was arrested for the attempted smuggling. 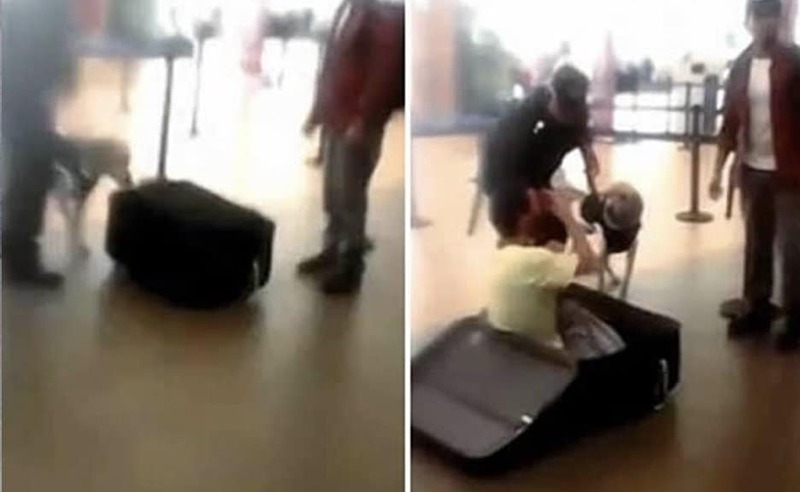 A married couple from Egypt stuffed their baby in their carry-on luggage and tried to sneak him illegally into UAE, but were caught when they put the bag through the X-ray. 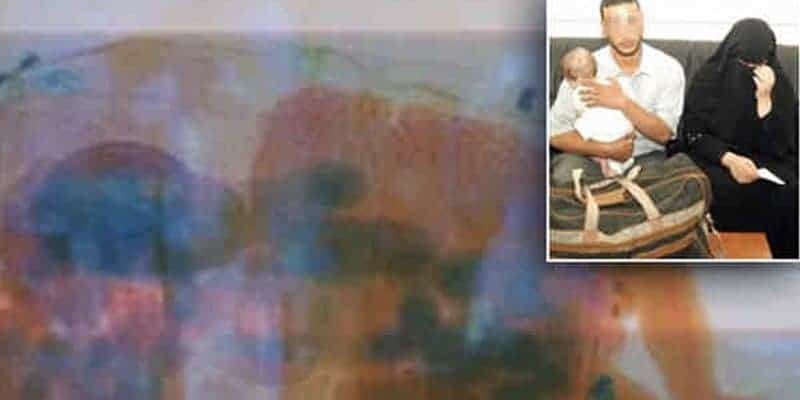 The family arrived at Sharjah International Airport and were told they can’t enter the country because the baby didn’t have the required visa. The customs officials told them to wait a day to sort out things. Instead, the couple thought of zipping the boy inside the bag and sneak him past airport security. The two were subsequently arrested. Sounds like a thriller — but this really happened: 18 frozen human heads were discovered by customs during a routine X-ray screening of cargo at Chicago’s airport. 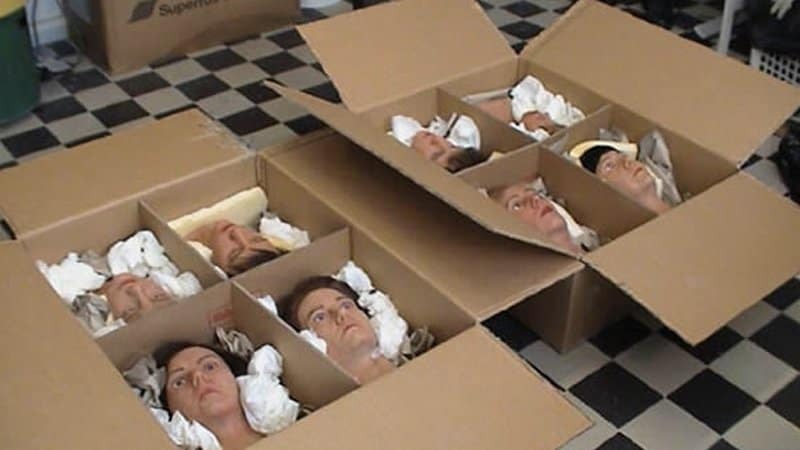 The heads were actually used as medical research coming from Italy and shipped back to the US for cremation. They weren’t smuggled, but were held up because of technical paperwork problem. 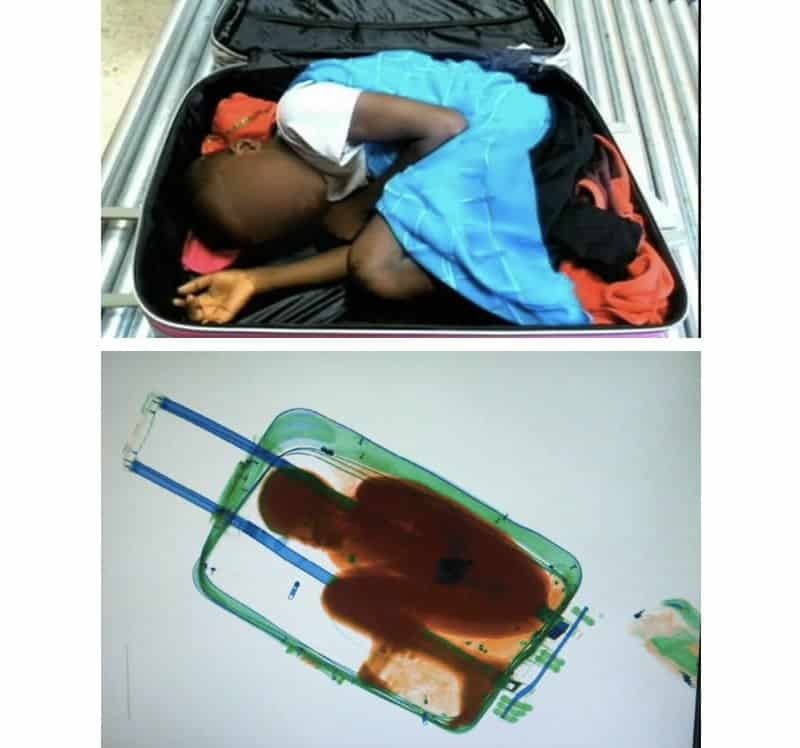 In 2015, an 8-year-old boy was discovered by customs hiding inside the luggage via the airport scanner. The young boy was tucked in the trolley by a 19-year-old woman as they tried to get into Spain. Police started getting suspicious when they noticed she was overly nervous. Believing she was smuggling drugs, they scanned her luggage and found out something more startling: a young boy came out of the suitcase and said in French: ‘Hello, I am Abou.’. The police arrested the father who was trying to get through the same checkpoint an hour later. 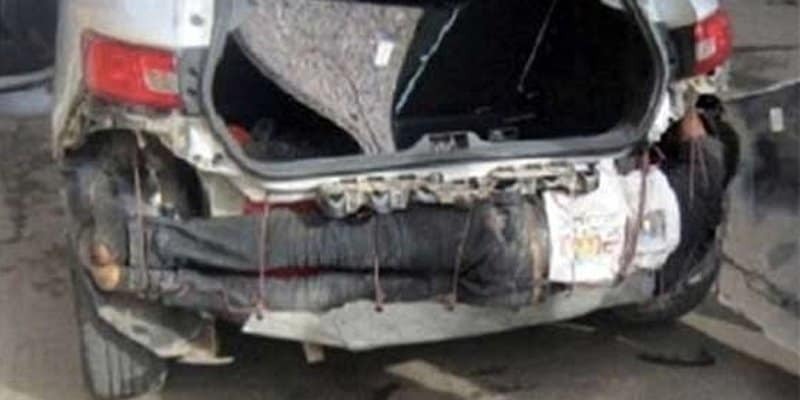 A man was founder under a car’s bumper in attempt to sneak him to Europe. The car was stopped as police used a new heartbeat censor technology on the vehicle, a Renault Clio. The two Moroccans who facilitated the smuggling were arrested. The hidden man, originally from Guinea was immediately brought to the hospital due to breathing problems and numbing in several parts of his body. A man in his 60s tried to smuggle his Russian wife by hiding her in a suitcase. The Frenchman was stopped by Poland border guards at a train station in Terespol, after the massive size of the luggage drew suspicion. Little did they know that the wife would’ve had no problem entering Schengen without doing such an extreme act. Spouses are allowed to enter if they prove their marital ties so they could stay together. 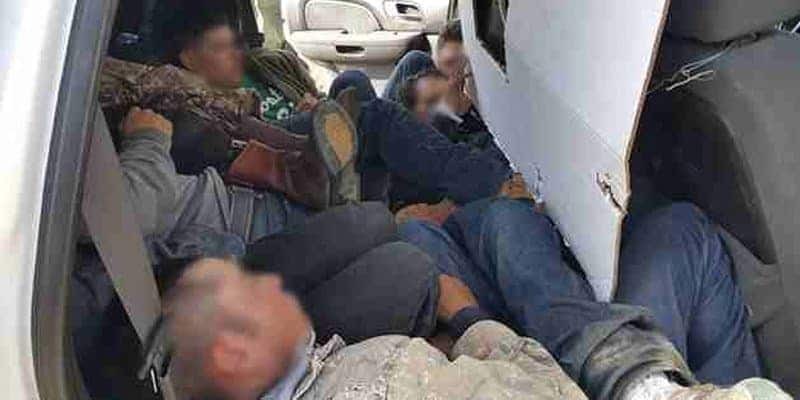 A human trafficker attempted to smuggle 12 illegal immigrants into US, using a ‘clone car’, particularly a cloned border patrol Tahoe car. ‘Cloned cars’ are like identity theft for vehicles. These cars pretend to be school buses, patrol cars, police vehicles, 10-wheelers, or any type of vehicle, normally with a cloned registration plate which allows criminals to carry out crimes such as smuggling or organized crime. 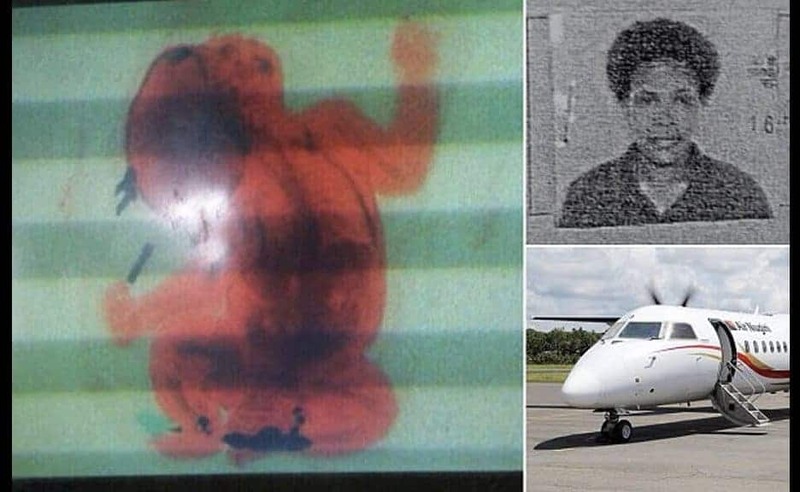 Two men were arrested in a Peru airport after being caught smuggling a human. A man with an average sized suitcase was stopped by guards after the guard dog displaying keen interest. The man was asked to open it, but seemed reluctant. 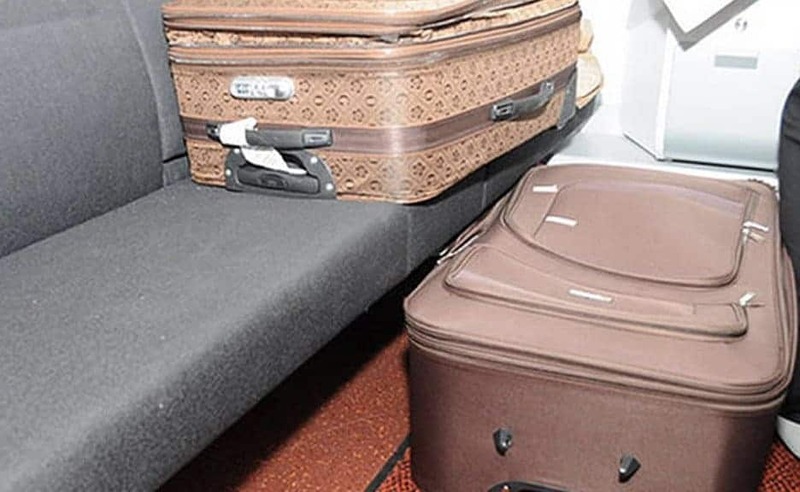 When officials finally had him unzip the suitcase, it revealed another man hiding inside.